The Secret Order: Beyond Time is rated 3.8 out of 5 by 20. Rated 5 out of 5 by Bumbles2 from A super great game that we all enjoyed !!! I'm not sure what I can say here that hasn't already been said...except this is a wonderful game. The story-line can be followed easily and the little mini games and puzzles etc are a wee bit of a challenge at times. The graphic's are great and the music is tolerated to a point LOL We definitely had a fun time with this game and hope there are more like this one soon !!! Enjoy all !!! Rated 5 out of 5 by denniann2 from not a bad game. time travel to the pst and getting stuck there there is a journal. the hint system is good. you are sarah pennington and you travel to the past to try to change things but your vessel "the royal griffin" is damaged and you are stuck there and are trying to get back to the future. the HO scenes aren't too bad. the mini games are challenging for me but probably not others. you have a small friend that travels with you that has powers you don't have. he gets stronger as the game progresses. Rated 5 out of 5 by Snowview from beautiful and thrilling adventure Just when I think all the games are clones of each other, a great one like this comes out. I loved feeling like I was in a science fiction adventure rather than a horror movie. The scenes were gorgeous. There was a lot of interaction with believable. interesting characters. I especially like the quality of female characters which seem lacking lately in many games. I loved the Nubi character helper. Will play again. Rated 5 out of 5 by pailraven from AWESOME I play these games at every moment I have free and I come across some that are just well, lame but others come with that in which I hoped for great challenge, fun, and wonderful graphics and this particular game comes with it all. 5 stars and 2 thumbs up it's a must play. 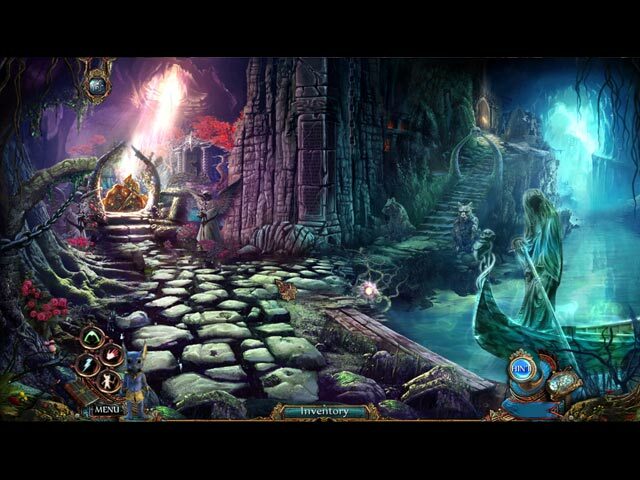 Rated 5 out of 5 by Runrama2 from Puts the Fun Back in Hidden Object Games I play a lot of games, and I really like this one because it is very immersive (especially if you listen to the audio), and is just a whole lot of fun!. I like enjoying looking for needed objects rather than just working for them. The artwork is great also and there are many surprises. I haven't finished it yet but I'm having a great time playing it. Rated 5 out of 5 by pennmom36 from Sarah Pennington To The Rescue Sarah Pennington is stuck in the past, quite literally, because the Royal Griffin time machine has sunk! After the Order of Griffins discovered ancient artifacts, they quickly become unstable and threatened all of humanity, so Sarah traveled back in time to the land of Aeronheart to stop the artifacts from being created. Unfortunately, the Royal Griffin is now permanently out of commission, if Flavius, the local inventor, can't salvage the time machine, Sarah will become a permanent Aeronheart citizen....... of the past! I absolutely loved the original Secret Order, the second game introduced a fake looking baby griffin which made the game less credible in my opinion. This time they have given us Nubi, who is neither cute nor intimidating, and looks more like a mouse than a dog. To make matters worse, Nubi "learns" new skills, such as Fetch and then the power to control Lightning, etc. which is totally unnecessary, but doesn't distract the gameplay all that much. The Hidden Object Scenes are list finds with several progressive interactions items to solve. There is an optional game of Mahjong available for those who have grown weary of Hidden Object Scenes. The HOS are well done but I thought the graphics could have been better within the scenes. 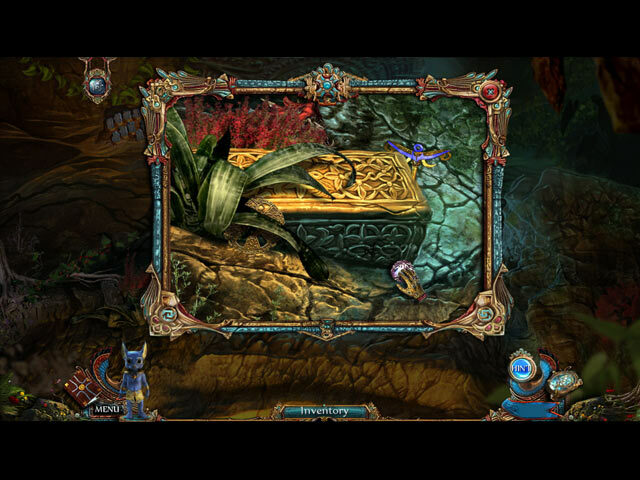 There are a lot of Mini Games, none of which require in depth thinking, such as clearing a path to allow a necklace to be removed at the top of the board in a classic game of "Blocks" The Collectors Edition has Soundtracks, Achievements, Collectible Masks, Game Art, replayable Mini Games, Wallpapers, a built in Strategy Guide and a Bonus Chapter, enjoy! Rated 5 out of 5 by purpleporpoise from Storyline Kept Me Engaged - Clever Interactive HO Scenes! In The Secret Order: Beyond Time, you are helping Sarah Pennington discover a way to come back from the past after her time machine is damaged when her ship, The Royal Griffin, sinks to the bottom of the ocean as she is working to try to save an ancient kingdom from the evil-doings of a secret clan. She is being helped by Flavius, who's trying to figure out how to repair her time machine, but an earthquake destroys his workshop along with the time machine and she must then figure out another way to get home, which develops into an ingenious plan. I played all but the last five minutes of the demo and the storyline kept me engaged for the whole time. 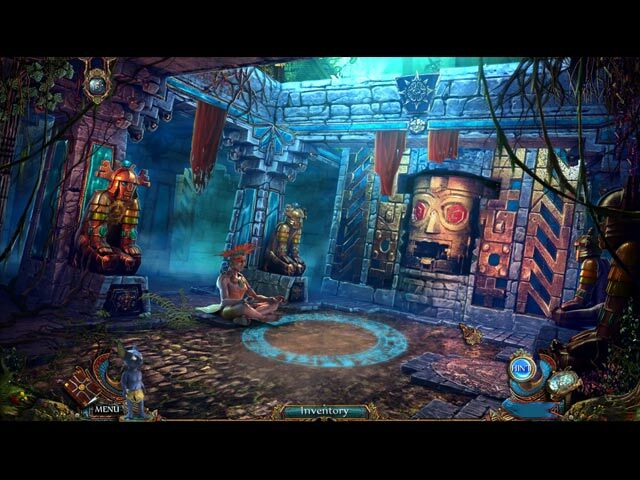 It's a combination of adventure, hidden object and puzzles, which move the story right along. Very clever use of interactive hidden object scenes, meaning you search for and combine several objects to get the one you're looking for on the list. The puzzles were challenging (for me, anyway), but not so difficult that you can't figure them out. There is a skip button, but frankly I enjoyed the puzzles and persevered, even though it usually takes me a little longer to figure them out than most people. I'm not an experienced player of HOGs, but I did play in advanced mode and I checked off to not have the tutorial after the first few pop-ups. There is a notebook with your objectives and you have an inventory list. I did quite a bit of back and forth between scenes to find the objects I needed. I will warn that when you get to one scene (I won't say which one so that I don't give away the story) you will not be able to hop back to previous scenes until you complete your objective for that scene. I thought the graphics were good, though not as sharp or 3D as some I've seen. But they were pretty and not too dark and scary, more of a light fantasy theme. I love the Griffin and Little Nubi is adorable! I also love the Egyptian theme. Other than Flavius, who appears at the beginning, Sarah had no interaction with other characters in the portion of the game that I played. She is mainly just searching and figuring things out on her own. There aren't a lot of cut-scenes or voice-overs to interrupt gameplay. I know some gamers find those irritating, as do I, if it doesn't add to the story. There are a few cut-scenes in the beginning, but not too many. The music is not intrusive. Frankly, I didn't even notice the music that much, I was so engrossed in the story. I don't know how many chapters are, so I can't say if it's a long game or a short game. But I definitely would buy it if I didn't already have so many HOG's on my PC that I still need to play all the way through - LOL! I'd like to see how the story ends and find out if Sarah makes it back home. I recommend this game, especially if you like Egyptian or Fantasy themes and interactive HO scenes. Rated 4 out of 5 by mrm2006 from Flying Ships ..... A Secret Order ...... and an interesting Helper. Based on both the CE and SE demos. Sarah Pennington (your character) has been working for the Secret Order for some time, often against the Dragon Clan, and ending up back in time ..... where she is now ...... trapped. The VERY FIRST impression I got when the game opened for play was .............. NO! OMGosh NO!!!! TOO MUCH ORANGE and GOLD!!!!! Yes, over-use of those "crayons" needs to stop. It actually hurt my eyes so much I wasn't sure if I could continue the demo ..... but, I prevailed (YAY ME) ..... and here are my notes. Graphics - obviously I had a problem with the colors used but, other than that, the graphics were amazing, right down to the ittiest, bittiest crack or line or imprint. Yes, it was 2-dimensional as opposed to the 3 dimensional HD graphics of today. But, it seemed to "fit". Voice overs - not many but quite well done, as were the sound fx - I could here a cat purr, clinking of metal. Yep. Amazing. You could almost close your eyes and feel surrounded by the tiniest of sounds you would hear in "real" life. Music.....same thing ..... very well done. Crescendoed at those edge-of-your-seat moments. I never felt the need to turn it down/off. Difficulty: Casual, Advanced, Expert ---- no "custom" here. Your diary shows "Objectives" only. I did not see "notes" or "clues". Just "Objectives". You would think there would just be an "objectives/tasks" list but, nope, a whole unfurling diary for just .... objectives. The transportable map is very clear as to where to go and where you are. Some maps can get muddled giving too much useless info. You have to find ..... something (sorry, but I can't give EVERYTHING away - lol) to activate the "hint" button. Yes, even on the "Casual" setting. HOGs (hidden object games) were mostly list type, sometimes very interactive. There is an alternate Mahjong game you can play if you prefer. Mini Games - fun, new, fresh ideas. Some required P&P (Patience and Perseverance). There were definitely more Mini Games than HOGs. Ultimately, you will get a "helper". Not one we've seen before in ANY "helper" games from ANY Dev, including this one. Please. If you DO play the demo ......... is it anatomically correct? There's a bit of bright neon green where .... well...... you DO cover it up ..... but ..... do YOU see it????? It really took me aback! Your "helper" will gain 4 special powers (2 were found in the demo). They DO come in handy and, no, I am NOT going to tell you what they are. Just that they are very handy. I have played "Secret Order" games before, I think. At least 1? I don't think I played the one before this. Or, I may have played the demo but, at this writing, am not sure if it's in my "dungeon of unplayed games" or not. In any case, several references were made to the previous game(s) .... so this might NOT be a standalone. I know I was confused by several statements made ("Sarah, I am not your father". OMG - Shades of Darth Vader!!). Will I rush out to purchase the previous game if I don't already own it? Very unlikely. Will I even purchase this SE? I LOVE the Egyptian era and would probably purchase the SE based solely on that. I would recommend it for any level of experience. What's next in Sarah Pennington's race to get back to her "real" time? Join me and let's fly away in our ship (yes, FLY in a ship) to yet another adventure! ENJOY! Rated 4 out of 5 by amminnc from And the story continues... 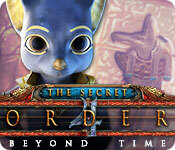 I've played and enjoyed the other Secret Order games so was happy to see another picking up where the last one ended. This game has a little bit of everything: drama, HOGs, and puzzles. Graphics are clear. HOGs let you switch to Mah Jongg tile game instead, if desired. Nothing overly challenging, but just enough to stop and think. Basis of storyline is Egyptian archeology/antiquities. If you enjoyed the previous games in this series, you'll probably enjoy this one.